Gig Harbor Court is a warm and welcoming senior living community offering personalized Independent Living and Assisted Living services in Gig Harbor, Washington. Residents enjoy our well-appointed accommodations and amenities, restaurant-style dining, and a vibrant lifestyle that engages their interests, passion and purpose. We are dedicated to enhancing health, wellness and the highest quality of service delivery for our residents—enabling them to live life more meaningfully. Welcome to Gig Harbor Court. Our community is located in picturesque Gig Harbor, Washington, the gateway to the Kitsap and Olympic Peninsulas. Gig Harbor has gained a reputation as a relaxing, yet engaging place to retire. With small town charm, beautiful neighborhoods, and exciting recreational and cultural amenities, Gig Harbor encourages active lifestyles. Gig Harbor is a quaint community conveniently located just a few miles from Interstate 5 with all of the metropolitan amenities of Seattle and Tacoma within easy reach. Gig Harbor offers the Cushman Trails, scenic views of Mount Rainier and several small downtown parks throughout its historic waterfront. During warm months, residents enjoy farmers’ markets, outdoor movies, and live music. Our Gig Harbor Court community includes walking paths winding through landscaped grounds, beautiful gardens, and an outdoor courtyard and patio. We also have raised garden beds where residents with a green thumb can tend their favorite flowers and plants in our community garden. Step into our light-filled lobby accented with elegant furnishings and experience the rewarding retirement you deserve. Visit our library filled with volumes of books and periodicals, or enjoy personalized pampering in our on-site full-service salon. Other well-appointed common areas include our activities room and an elegant dining room and a private dining room that residents can reserve for special occasions. At Gig Harbor Court, we are passionate about crafting great meals to create an exceptional dining experience for our residents. Enjoy restaurant-style dining in our elegant dining room with chef-prepared menu options served on tables set with linens by wait staff. Our inviting community offers spacious, light-filled residences. We feature a selection of apartment floor plans, including studio, one-bedroom and two-bedroom apartments. In addition to a kitchenette, our pet-friendly residences have several large closets for ample storage, individually controlled heating and air, an emergency call system, and select apartments feature a patio or balcony for private outdoor living space. We work hard to get to know you, understand your lifestyle, and show you the possibilities at Gig Harbor Court. Take our lifestyle quiz so we can provide an experience tailor made for you. 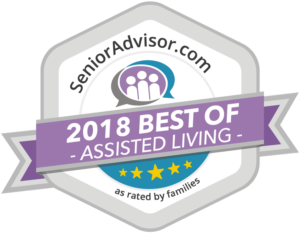 Gig Harbor Court receives The Best of Assisted Living in Gig Harbor award for 2018.